You can't change A4 and A5 pins they are the hardware i2c. I haven't seen arduino whiteout this pins. Can you please post pictures of top and bottom side of you arduino. OK now I see, looks like it's time to break out the solder iron. Thanks guys... Sometimes hard to see the tree because of the forest. I have 4 different flavors of these minis, and all do it just different enough to make it interesting. OK group..... Some parts seems to be working,, scope shows signals TX from the GPS Chip. Outputs to the radio chip on the MiniPro show signals. No joy on the display... I saw some reference a few days ago that maybe DIN and CLK need pull ups on them... don't recall the values. Put I did put some 10ks there... did not help any. Are those even required? FYI OLED is set to IC2 on the shorting blocks on the back, so nothing wrong there. Does CS or D/C need any special treatment? supposely you are using a different type of OLED. I did try 4 pin only version available for very low prices via Ebay. There was no problem at all when using LZ1PLL software. Rem. : The specific type of OLED i am using, is showing its upper lines in yellow colour. As far as i know, this cannot be changed, so i still have to modifiy softtware a little bit for better readabillity. Still no joy in the display ... looks like more digging....may have to break down and get the same exact display as yours. FYI... SSID etc is the same on mine as yours. Code is set correctly for that as well. Also after being brought into I2C mode ( by using two of its jumpers ) this one did NOT run under LZ1PPL software. 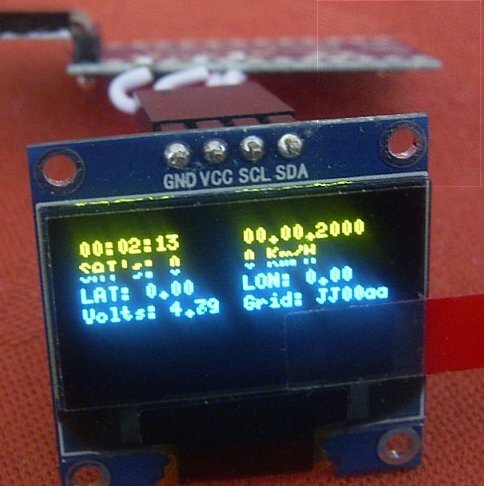 Compared to this, using it in conjunction with other programs together with SSD1306 and GFX libraries from Adafruit was without problems. So maybe also modifying the LZ1PPL program accordingly could bring the solution. If you use Eagel I have been fiddeling a bit with a tracker PCB that has DRA818 and separate GPS (PA6H ) PCB. I have connected the pot as i have shown here https://drive.google.com/file/d/0Bz49Vw … sp=sharing . I'm using 10k pot and its set just in the middle. I have measured the ohms and they are 5k to ground and 5.1k to resistor ladder. This works just fine for me. I'm using Eagle and i have designed one PCB for the tracker already, but I'm trying to add second serial port so i can program the setup parameters from the serial whiteout using the arduino IDE. The main problem is that the free ram is to little whit the sketch i have posted. so I'm trying to optimize it. I have even write my one GPS sentence parsing so i can remove the TinyGPS++ library. But i have some problems, everything works fine until i include and start the APRSLib. When the library is induced the tracker start to lose some packets and the whole thing just doesn't work as it should be. I will try some different methods for parsing and if nothing work i just will leave that idea for the second serial port. Thanks DJ700.....I have another OLED coming next week, and will try that. I have looked at the LZ1PPL code, and being a newbie to C code, may be more difficult to actually make any required changes to support it. I did find info that on my particular OLED that the other pins to be held high/low through some resistors. Doing that did not accomplish anything. There is no hint of anything on the display even working. However everything else seems to be working fine. Just now registered to ask, as I have some troubles getting this fantastic thing to work! I attached led on the PTT pin of the pro mini, and it goes on ptt. I then connected audio in from TNC test-CD to A0 pro mini. I should see some decoded packets, or some messages, right? It is non-squelched recording, and i put #define OPEN_SQUELCH true in the sketch... Is there something else that I miss? My OLED's came today.. some encouragement......When the power comes on the display flashes with little random pixels for about a 10th second. FYI....I have a fresh copy of the U8GLIB installed as well. I wasn't getting these errors before, because I actually had a u8g_font defined just above the U8GLIB line below. I am not going to post the whole font code...just the header,,, a few lines and the end. Do I replace the 1693 with 1306, because if I do that....I get tons of more errors...so not sure if I am on the right track. Are their other modified versions of U8GLIB floating around...Frankly I am not sure where I downloaded mine from. Awesome project, I decided to create one on my own. I used the same GPS, Dorji module and screen. Screen + GPS work fine but the Dorji not so much. As soon as the devices tries to send something the screen flashes off 2 times and the unit has been reset, it resets again once it got another 3/4 satellite fixes. I first thought it was shielding so I wrapped my Arduino in coated foil but this didn't help. Anyone else encountered this issue? Any suggestions? I've wired it according to the diagram provided on page 3. I placed a screen write function at the top of the TX method to see if it actually sends but I never see this message so it must reset very soon after this function is called so I can't see it yet or even before this function. Is the powersupply up for the job? 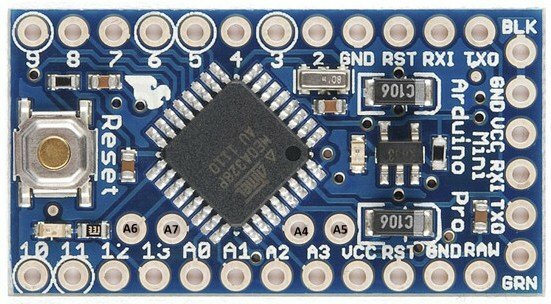 Does the Dorji module tolerate the 5V serial connection from the Arduino or do i need a levelshifter? And, how did you do the Powersupply? I would like to use LiPo batteries. One cell would be perfect for the trx module (3,3-4,5V) but insufficient for the Arduinos which need 5V at least. 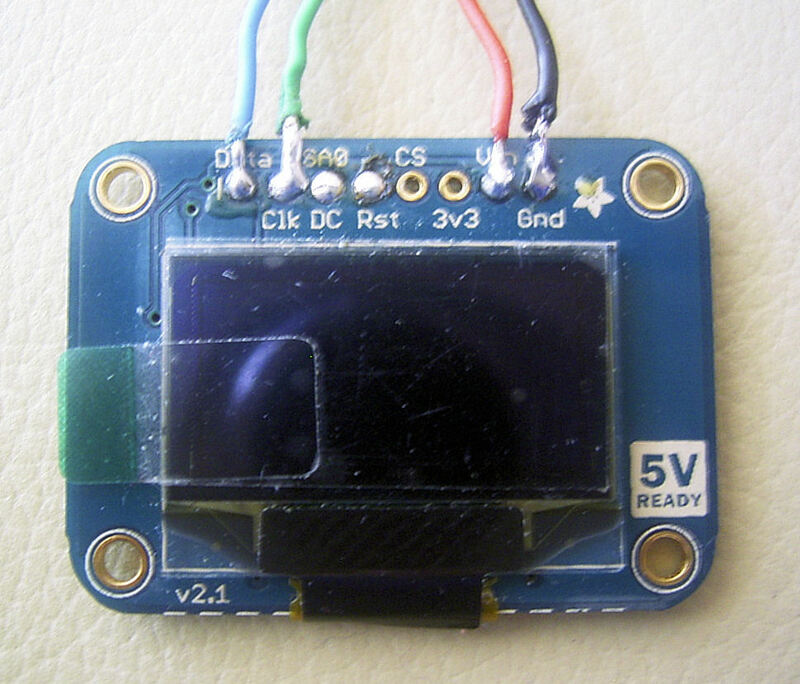 Two cells (8.4V fully charged) could be used for the Arduinos but not for the trx. What would be the cleverest way to do? Two cells and using a voltage regulator for the trx? Should be good for powering the two Arduinos i think. So, using one Lipo 4,2V fully charged/ 3,3V when discharged direct for the trx and via this step up regulator looks like a good idea. Any thoughts? When using the mini pro 3.3V, there is a raw pin that can take in anything above 3.3V - 12V and it will regulate it to 3.3V ..
Was catching up with some of the message posting here .. This is great stuff and a step forward for APRS on open source / Arduino platform.. I have or had the same issue,,, if running the Dorgi with a common supply like the 3.3vdc from the USB connector...it pulls the voltage down which causes the Arduino to reset. It I put them on a 3.9vdc or 4.vdc lipo all seems to work fine. Also make sure you Arduino RST pin is pulled high via a 10k or so resistor. I have seen other types of issues if that pin is left floating as well. nobody have a clue from my questions in post #89?